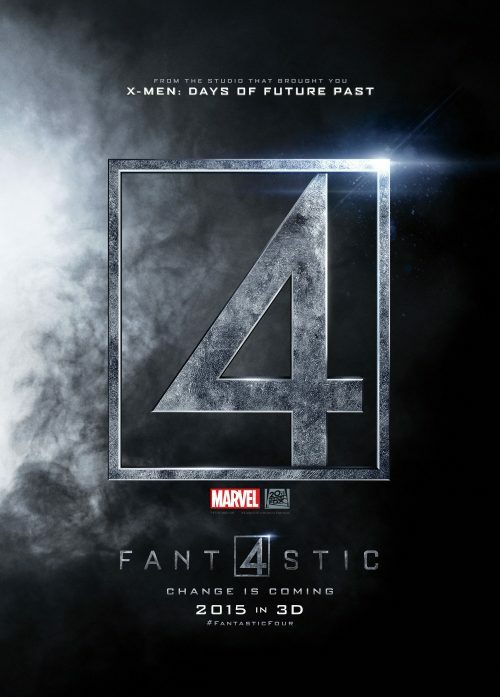 Twentieth Century Fox has decided to reboot the Fantastic Four franchise. Watching the below trailer I almost had, another, heart attack at how many corny clichés they can growbar into a trailer. Just hit play and see for yourself. It must be that they have defiantly run out of ideas for films. It’s an easy way to make a ton of money from a film. Even if it’s dreadful, people will go and watch it. It does have the feel of a cross between Smallville, X-Men: First Class and any other, recent, superhero reboots. Be that Superman or Spider-Man. Trying to keep the franchise going even if we all know it’s just for the money. This one has that feeling. Even the poster with it’s new version of the logo isn’t that great. I know it’s only the teaser but they could have done a better logo and not something that looks like it could be for The Expendables 4. Don’t agree, then look at it below and write a comment at the bottom! This makes the 4th time the superhero team has been made into a film. That does include the fabled Roger Corman version of 1994. A film that was made so the studio could keep hold of the rights to the team. This was what is called an Ashcan Copy. One only made for legal reasons. Reading the synopsis it sounds exactly like its 2005’s namesake. That time thy got their powers from being hit in a cosmic ray shower. This time it’s from being teleported to an alternative universe. There, they have to fight Victor Von Doom, sorry, Victor Domashev – a computer programmer that goes under the online name Doom. Well, that’s what Wikipedia says and I think.